Description: Teaching all individuals to use active learning strategies not only helps them to increase understanding but also to gain independence and become better students and better employees. For those who struggle with reading and writing, this is even more critical. If students benefit from using Assistive Technology support, then we need to demonstrate how to use the tools they have to implement the same strategies. This webinar will demonstrate how teachers, students, and individuals in the workplace can use a UDL (universal design for learning) tool, Kurzweil 3000, to implement these helpful strategies for reading, notetaking, and writing. Bonus! Cami Griffith with Kurzweil Education will share her tips for getting fast access to content. Presenters: Pat Satterfield, Center for AT Excellence, a TFL Network Partner and Jeff Levinson, TextHelp, Inc. Description: Until now, writing equations and math expressions on your computer has been slow and laborious. Join us to learn more about EquatiO! EquatiO helps teachers, students at all levels, and those in the workplace create math expressions quickly and easily by typing or handwriting on a keyboard or touchscreen. No complicated code or programming languages! You can talk to EquatiO or use math prediction to create math and science environments, such as chemistry equations. This webinar, will highlight and demonstrate the features of EquatiO with a focus on how it will help individuals across a wide variety of ages with special learning needs, whether in the classroom or at work. Description: One of the great promises of educational technology is the ability to personalize learning for students. The problem, however, has always been that it is difficult, time consuming and limited. Recently, a number of new and exciting tools have arrived in the special education world, allowing teachers to engage students in new and exciting ways. In this webinar we will explore some of these new tools and what they can mean for your students. One of the key tools we will explore is the NEW VizZle learning platform. The new VizZle (launched March 2017) has opened up exciting possibilities for creating personalized learning environments for students of all abilities. VizZle offers thousands of ready-to-use lessons, instant personalization, and automatic data collection. Join us for this webinar where you will see a new way to take personalized learning to the next level for your students. Description: Capti Voice is a universally accessible literacy support tool for Chromebook, Mac, Windows and iOS devices. A winner of the 2017 Best Special Needs Solution award from EdTech Digest, Capti is helping students overcome learning disabilities and language barriers in schools throughout the US and Canada. This webinar will be a comprehensive overview of the core features and workflows of Capti, including some of its newest features like Word Lists and built-in OCR scanning capabilities. Title: iPad Accessibility: Make It Your Own! Description: iPads continue to be one of the strongest mainstream technologies changing the way individuals and students with disabilities communicate and interface with their environments every day. In this webinar, we will review and provide updates on the built-in accessibility features of for IOS devices. Details will be shared on setting up alternative access options, including switch access. Accessibility also includes "shortcuts". Presenters will review interfaces that are available and how to build and use "recipes" for accessing activities. Description: Can a virtual environment be motivating, and fun, but also educational, support IEP goals and collect data? We will introduce you to the Timocco platform which targets the development of cognitive and motor skills for children in a engaging, game-based environment. Participants will also be introduced to the latest gamations: supination/pronation and adult rehab platform. Young children can be hard to motivate, especially when working on tasks and skills that could be uncomfortable or non-preferred. This is a daily battle for Occupational, Speech and Physical Therapists trying to compete with technology such as iPads, where a child can be sedentary and only use their fingers for learning activities and games. Can motor skills be developed while playing computer games and also help us develop cognitive, communication and social skills? We will present cutting edge technology developed overseas and newly introduced to the US using motion-tracking cameras for interactive games. While game-based motivation and learning is well established, engaged learning activities through physical movement is new and the technology shows great promise. Research on the field of game-based learning and physical engagement will be presented. Targeted treatment includes development of gross and fine motor skills (including handwriting), cognitive function and social awareness and interaction. We will share research on computer game platforms that specifically target the development and maintenance of these skills in children. Two emerging tools, one developed by an Israeli company (Timocco) and tested in Europe, the other emerging from New Jersey schools (C.E.W) will be presented. Further challenges revolve around the severe time constraints to find and apply the right activity and track results. New resources will be shared that allow IEP goal/objective driven searches and auto data tracking of student use in-session and at home. Description: Mathematics is a core content area. Students must pass math courses throughout their education, but especially to graduate with a general education diploma. However, we often find that a particular challenge arises for some students with disabilities within the detailed process of doing math. Finding the right tools to support students in math instruction can be challenging simply because of the seeming scarcity of solutions available. But there is good news! This session will shed some light on what is currently available to help anyone struggling with math, at any level, become more successful. Join us to "count the ways" to more math solutions as we discuss low tech tools, software, online support, and apps! Description: WriteOnline provides struggling writers in middle school through college with age-appropriate support across the curriculum. It incorporates such features as a graphic organizer, speech support, word prediction, and word bars and writing frames. Teachers can use the graphic organizer section to create visual representations of lessons and then convert them into a word bar or a list. The document analysis tool gives teachers insight into each students writing process, including any pasted text. WriteOnline allows for customizable support for students depending on their writing level and progress. Other Crick software and apps will be reviewed briefly. Join us to learn more about this innovative software that provides support for our students through school, work and more! Description: Today students with disabilities are finding more opportunities to attend college and technical schools. Assistive technology (AT) is proving to be a staple tool that students with disabilities are using to achieve success in post-secondary settings. Students who qualify have access to textbooks in electronic format and will probably use computer and tablet-based software to help them read their textbooks and gain comprehension. AT tools are also very helpful for large amounts of writing and in-class, study-related note-taking and research. If these tools are becoming an accepted part of the tool-set of college students with disabilities as they successfully navigate their post-secondary curricula, how should this inform the transition planning of students with disabilities whose trajectory includes continuing their education beyond high school? What does research have to tell us about decision making related to AT and whether mastery of AT in high school impacts academic achievement? This session reviews recent research on AT and transition including the National Longitudinal Transition Study (NLTS2) and the AMAC Study as well as other related research. Implications for secondary education and transition planning will be discussed. Description: Students and adults with text related disabilities often struggle to complete forms. These obstacles can pose a direct negative effect on job applications, tests, and worksheets. Making these print documents accessible in a way that allows them to be filled out on-screen can be the difference in getting and maintaining a job and being successful in the classroom. Join us to learn quick and easy ways to make digital forms and worksheets accessible. Tips for using Microsoft Word, OneNote, Adobe Reader DC, iPad and Android applications will be shared. Description: Mobile tablets and Smart Phones have provided affordable new platforms on which to operate apps that support communication. There are many apps that purport to provide quality Augmentative & Alternative Communication (AAC) - and the list is growing. But which (if any) of these apps provide the depth and quality of language and access that the legacy Speech Generating Devices (SGD) have provided over the previous decades? What tools can we use to determine if a particular app would be appropriate for an individual with complex communication needs? Join us as we explore these and other questions surrounding the use of Apps and tablets for AAC. Description: Are you considering advancing your career, or possibly embarking on a new career path that combines technology solutions with the assessment and training of individuals with vision loss? If so, then becoming a Certified Assistive Technology Instructional Specialist (CATIS) may be worth considering. Presenter: Kathleen Zeider, President of ACVREP, will describe the CATIS certification process, including the following topics: Roles and Responsibilities of a CATIS, Eligibility Requirements, Overview of Certification and Recertification Process, Why Employers Should Require CATIS Certification, and Questions and Answers Session at the end. ACVREP CEU's for COMS, CVRT and CLVT being offered. Registration is $25.00. Description: What does a meaningful life look like for a young adult with a developmental disability? Assistive Technology (AT) tools and devices can help individuals with developmental disabilities achieve greater self-determination and independence. This is especially crucial during the transition process when AT should be considered, trialed, and implemented. Additionally, technology can support communication and lifelong learning opportunities, helping individuals with developmental disabilities have significant interactions in their community. AT has been proven to help process information and understand the world, provide motivation by giving greater access to interests, provide prompting for independent navigation, and help with cognitive and memory support for taking medication or learning new tasks. During this webinar, presenters will expand upon the role of assistive technology when providing supports to young adults with developmental disabilities. Tips, tricks, and solutions will be provided for implementing technology into early learning environments, creating compliance and success throughout the transition process whether at school, at home, in the community, or on the job. Title: How Can Audio Help All Students in K-12? Description: Using audio in the classroom has been part of the teachers toolkit for many years, but does it have the impact that we want? Often, using audio can be a tricky and complicated process, especially when recording audio. Given the wealth of research that shows the benefits of recording and reviewing auditory information for learning gains, should we be taking another look at how we use audio in our teaching methods? In this webinar, former High School teacher, Adam Pearce will be exploring the use of audio in the classroom. Adam will initially explore some of the issues with using audio as teaching device for K-12 students and then move on to look at the benefits of recording and reviewing audio to help students achieve. The webinar will then take a look at practical strategies using Notetalker app and Edit software, including strategies for pre-schoolers, elementary, as well as middle and high school students, and within vocational goals. The strategies will be both student and instructor led activities that can be used in your own setting. Title: Standard, Practical and FREE AT! Description: Join us for an exciting webinar that highlights free assistive technology (AT)! This session will focus on high incidence assistive technology tools available either as standard, free or minimal cost. All AT shared is available on Google Chrome and Microsoft products. Funding for assistive technology continues to be an ongoing barrier. During this webinar, presenters will share information and resources on how you can access inexpensive or free assistive technology for your students and clients. These standard tools are available on universal platforms and therefore easily accessed by individuals in the classroom, at work, at home, or in the community. Participants are encouraged, but not required, to have Google Chrome browser installed and access to a Gmail account. Microsoft products will be specific to what is included in the Office 2013 software package. Description: Can you relate to these scenarios? Your child has a brand new iPad with a shiny fresh new AAC app. Your patient has a $7000 communication device and she doesn't seem to know what's programmed on it. Your client has something called a PODD communication book that seems like it has way too many words for him. Your grandchildren have communication devices that they've owned for over 4 years and they've never really used them except to ask for their favorite snacks. So what do you do? Join us for an informative webinar that will provide you with strategies and solutions for teaching alternative augmentative communication (AAC) your clients whether they are currently in school, at work, or for community living. This presentation will provide 9 strategies for helping the AAC user learn to communicate using their own system. Presenters will share and demonstrate strategies that include modeling techniques, communication enticements, and cueing strategies which are all research based and clinically proven. Description: Join us for a presentation focused on providing information and resources to support teachers who work with students with visual disabilities. Strategies and solutions that will aid in determining the best solutions to meet individual student goals will also be discussed. This presentation will provide tools and strategies that will assist students in K-12, transitioning to a postsecondary educational environment, community living, or to employment. All technologies and programs discussed during this webinar can be used to enhance academic success and provide increased independence in the classroom, employment setting, and at home. Presenters will cover low, middle and high tech assistive technologies, strategies for finding new mobile options, and a few favorite apps solutions. Description: The DT Trainer was created for independent use by students with varying levels of autism, however this unique tool is used with up to 33% of students in special education. This program, your virtual independent tutor, includes hundreds of content programs and reinforcers addressing the developmental age range of 2 to 9 years old. This training program motivates individuals to perform tasks which they may find difficult to learn. The DT Trainer has a proven track record for improving function for individuals that are easily distracted, lacking self-direction/motivation, has difficulty following directions, and requires some type of repetition. During this webinar, Karl Smith, Founder of Accelerations Educational Software will share information on how the DT Trainer can be implemented in the classroom and how the results have benefited students not only in school, but in preparation for employment opportunities and working with job coaches. This session will address who can benefit from the program best, how this program works, how to engage students during the setup process, and tips and resources for managing the program. Description: The use of picture-based loop game activities to introduce story characters and loop comp materials to show comprehension of story elements is proving to be a lively and interactive way for individuals to access literature. The unique question and answer format of these activities allows for all students, regardless of ability, to actively participate in reciprocal communication, either verbally or through the use of an alternative augmentative communication (AAC) device. Many common individualized education plan (IEP) objectives embed easily into loop activities: turn taking, using AAC devices for communication, asking and answering questions, word identification skills, using adjectives and descriptors and others. This presentation will demonstrate a number of literature-based loop game/comp activities across the grade levels that align to english language arts standards, incorporate IEP objectives, and encourage communication. Presenters will share how these activities are pertinent to our students every day success as many of them are applicable to transition, workplace success, community living, and more. Title: What is a Virtual ATRC: Free K-12 AT Support! Description: You probably already know that Tools for Life can help with Assistive Technology information, demonstration, loans, funding, and evaluations; but did you know that the Center 4 AT Excellence, a TFL Network Partner, focuses on serving K-12? There are lots of ways we can help you without any cost! As a virtual ATRC (Assistive Technology Resource Center), the Center 4 AT Excellence can provide many services at a distance, allowing us to serve more individuals, families, and professionals.Tune into this webinar for a more complete picture of how we can come alongside your team and help! FREE! Description: Communication is important for everyone, but especially crucial for individuals living with various disabilities. Join us for a webinar that will explore successful communication options and its importance for everyday activities and tasks. This presentation will focus on the importance of selecting appropriate vocabulary for successful, functional communication through active involvement. Discussion will center on the role of communication partners, barriers to success, and general beliefs about communication. Presenters will share examples showing a variety of vocabulary files, including updates to NovaChat, one of many alternative augmentative communication (AAC) devices available. Strategies and tips on how AAC users can experience successful communication whether they are in school, in the community, at home, or in the workplace. Description: If Inclusion 1.0 was about physical inclusion, Inclusion 2.0 is about making students successful across the curriculum. Next generation UNIVERSAL accommodations including uPAR, Co:Writer, and Snap&Read Universal make this possible. First, needs are identified proactively with uPAR. Students then get access to the curriculum with personalized accommodations that work across devices and platforms (Google Chrome, iPad, desktop). Finally, data proves outcomes and gives feedback. This webinar will show how functionality in Snap&Read and Co:Writer give students unprecedented control over their reading and writing tasks. Dynamic Text Leveling lets them adjust the readability across websites. Web-scraped Topic Dictionaries support every curriculum topic. Student-safe data reporting informs remediation and proves outcomes. Come see how incredible new technologies are changing AT! Description: In today's world kids of all abilities are motivated to use tablets. So how can we increase participation in writing activities using tablets, apps and settings in the formative years to best prepare them for successful transition? Let's get them to enjoy the writing process and using tablets to make it easier! From Pre-K to High School, and Special Ed to Gifted classrooms, students are required to write in some way. This webinar will teach you how to incorporate tablets for all levels of students and individuals living with autism, learning disabilities, and mild to moderate intellectual disabilities. Beyond using a single app, presenters will show several techniques using apps in traditional to non-traditional ways, including QR codes and tablet settings. This interactive session will leave you with a list of apps for iPads and Android tablets to help support individuals with disabilities in the classroom, as well as throughout the transition process into high school, postsecondary and/or community living and the workforce. Description: Are you looking for innovative ways to incorporate images when teaching effective communication? Many of us work with individuals that need graphics for communication and cognitive support. LessonPix is an affordable online graphics library which is easy to learn and quick to use. Choose your graphics (or upload your own) and create one of a number of activities at the touch of a button! By choosing a template, the program populates it with the graphics you have chosen. Chosen graphics are saved until you have finished. They is no need to place the graphics in each template separately and finished activities are saved as PDFs for printing. This webinar will not only provide detailed instructions on creating and incorporating images into communication for cognitive support, but also explain and share why the use of graphics are important during curriculum building. Incorporating the use of images into communication skills will help students be independent in the classroom as well as throughout the transition process, whether during job-training or community living. Join us for an informative webinar with updated learning activities! Title: What can Google do for you? Description: We all use and know what Google is, but have you ever wondered, "What can Google do for me and my students in the classroom, throughout the transition process, and into postsecondary and work environments?" Between Google Apps, Google Drive, Gmail, and Chromebooks, there are many tools at your disposal within the Google-verse. Join us for an exploratory webinar that will show you what Google has available for you, your students, and anyone seeking tools to help provide structure, organization, task management, and much more. Google and various Google products are used every day by students and working professionals to reduce stress and help manage responsibilities. For individuals living with disabilities, Google products and services have opened the door for more access and ease-of-use when using the computer and mobile devices. During this webinar, presenters will not only share information about the benefits to accessing Google apps and products, but also identify limitations encountered by some individuals with disabilities and how to overcome them with various resources. Description: Join us for the first of many webinars to focus on assistive technology and software can benefit students in their classrooms and others living everyday with various disabilities. Kurzweil 3000 Firefly is a software program that provides support for all students with reading, writing, vocabulary development, and study skills. Firefly makes program features and files available online and from the iPad as well as from the full program at school. Presenters will share information about implementing Kurzweil 3000 Firefly in one Metro Atlanta county as a tool for all students. Discussion will focus on techniques training staff in using a UDL tool in the classroom, selecting focus schools to demonstrate success, and classroom modeling as a part of this implementation. Some of the features which support learning for all students as they engage in typical classroom activities will also be demonstrated. Description: Beginning a path that leads to college or preparing for the workforce can be an overwhelming experience. This session will explore the collective role each of us play in promoting student success further through transition and the powerful role of assistive technology in this process. We will examine outcomes that can occur when universal learning design and appropriate assistive technology solutions are integrated into the lives of individuals with disabilities. During this session participants will learn about some of the strategies and solutions being used to assist students with disabilities prepare for life beyond high school and assist with smooth transitions into the workplace and community. Presenters will discuss technological trends and share examples of assistive technology, software, hardware, mobile technology and apps. Other resources shared will include information about AMAC Accessibilty Solutions and Research Center at Georgia Tech and how their services for those with print related disabilities can help stay on the path to success. Description: Are you frustrated with the outcomes of identifying effective supports for students with disabilities? If so, please join the discussion about "SETTing" an IEP teams focus on students and why this is vital to effective consideration of assistive technology needs. Supports that are being used in Paulding County to assist teams in keeping the process of considering assistive technology and the student focused will be shared. Presenters will demonstrate how the utilization of Joy Zabala's SETT (Student, Environments, Tasks and Tools) framework, the use of online professional learning communities, and Paulding County's Universal Design for Learning (UDL) Lab are assisting teams in staying student focused. If you are eager to learn more about collaboration with IEP teams and working to keep the focus centered on student goals, then don't miss this session! Description: Many transition based programs are designed for job skill development for future employment, but what skills are most beneficial for students with more significant disabilities who may not seek employment? This teacher and SLP team provides an overview of the development of a transition oriented program created for students with severe physical and cognitive challenges, along with complex communication needs. With an emphasis on functional communication and self-advocacy, Oakland Meadow’s Transition Adaptation and Skill-development Lab (TASk Lab) provides one-on-one and small group instruction in the following transition skill areas: vocational, communication, leisure, and home. See how the team collaborates to expand the original design of the Lab to provide authentic opportunities for increased independence and self-advocacy for the students they support. The use of video clips, photos, and sample activities will highlight AT and AAC supports being used in both the school and home settings. Description: We are living in a time where the terms "assistive technology" and "accommodations" are expanding the way we think about access to our environments. Accommodations for those living with learning disabilities include ease of access to textbooks and print materials on a postsecondary level. This includes electronic text and the devices being used to read on. Join us for webinar focused on creating accessible documents for individuals living with learning disabilities. Presenters will share information on why and how accessible documents are important for achieving academic success. Tips on how to identify inaccessible documents will be discussed. Participants will be able to understand the solutions for creating accessible documents that are compatible with screen readers and other assistive technologies. Description: Navigating the world of tablets, apps and their accessibility features can be an overwhelming experience especially when there are over 200 apps that are introduced each day and over 20,000 different tablets on the market. It can be difficult to locate resources that share this detailed information especially before you make purchases. Join us for webinar that will dive deep into the various features of tablets and apps and share strategies for selecting which one, along with their accessibility features, will work for you. Presenters will explore Android, Apple and Microsoft tablets, their accessibility features and share some apps that can assist those living with learning disabilities. Description: Technology can help all students achieve academic success! Join us for webinar focused on assistive technology solutions for writing. Presenters will share some of the basic difficulties individuals with learning disabilities encounter when they are writing and then provide examples of how low, mid and high assistive tech devices are creating solutions. Discussion will focus on specific environments and how these devices assisting people living with various learning disabilities in college. Strategies, solutions and resources that provide supports will be discussed. Description: This unique webinar will review the components of successful implementation of the curriculum across the district and in classrooms for students with Intellectual Disability. Join us to learn about these tools that may be used to extend instruction on monthly topics. Additionally, discussion will focus on how to optimize the use of the data collected within the curriculum. Presenters will share information on tools that are both web based and commercial software. If you’re seeking avenues on how to further align your instruction to the curriculum to best deliver information to your students then don’t miss this discussion. Description: Technology can help all students achieve academic success! Join us for webinar focused on assistive technology solutions for reading. Presenters will share some of the basic difficulties individuals with learning disabilities encounter when they are reading and then provide examples of how low, mid and high assistive tech devices are creating solutions. Discussion will focus on specific environments and how these devices are assisting people living with various learning disabilities in college. Strategies, solutions and resources that provide supports will be discussed. Title: Fine Motor and Sensory Apps for the iPad: Inexpensive and Free! Description: Join us for a webinar that will demonstrate Fine Motor and Sensory apps for the iPad that are free or inexpensive. Demonstrations will include apps that provide calming music and/or visual input, apps that suggest yoga poses or heavy work activities for calming, and other apps that can help with social skills, picture schedules and timers. App features discussed will include tracing, drawing, mazes, visual matching, hidden pictures, puzzles, sequencing, coloring and music play. Presenters will share information on which apps are compatible with operating system accessibility features, including switch accessibility. If you are looking for up to date information on which apps that can help students in the classroom, community and throughout the transition process then be sure to mark your calendar to learn all about helpful tips and resources. Description: During this webinar participants will have the opportunity to learn about a variety of free and robust assistive technology resources available to users of Google Apps for Education. Many of the tools within Google Apps for Education are free services that can empower students of all ability levels to reach their goals. This session will provide working examples of the resources available. Join us for this webinar that will focus on the free tools available to students and teachers within the Chrome Web Store. Presenters: Autumn Garza, Attainment Company, Inc. Description: Attainment’s Core Curriculum Solutions for elementary, secondary, and transition students provide a variety of learning experiences through print, manipulatives, interactive software, and apps. All of the programs use the same instructional strategies (like time delay and prompting) and accommodate all student response types. Teaching is made easy with age-appropriate, standards-based content that applies to real life! See how seamlessly you can integrate Attainment’s suite of apps for math, English/language arts, and communication into your daily lessons. Our blended approach to learning promotes full student participation while producing measurable results. Description: Accessing your environment and accomplishing tasks like turning on and off the lights, opening doors, and controlling the television or radio are basic things that go unnoticed every day. However, for many people with limited mobility access to their environment accomplishing these tasks give a whole new meaning to life. Many people disabilities go from being surrounded by their teachers, peers and helpers regularly, to being by themselves more often and needing to learn strategies for independence. Creating an environment that enables learning tools to independence can help ease the transition process into postsecondary education or community living. In this session, presenters will ask the “critical questions” that you need to know when assessing your clients for successful environmental controls. Discussion will focus on success stories of individuals using a variety of environmental controls. This session will also include a demonstration of affordable environmental control solutions that can be used in all areas of life including implementation in the classroom and then throughout the transition process. Multiple environmental control options and options for interacting with the environment (voice, computer, tablet, phone and robotics) will be covered. Description: This webinar will focus on providing strategies and tips to teacher's, therapists, and parents for helping more involved children learn to communicate. Strategies for working with children who have multiple sensory impairments, who are have low cognition, or present unique physical limitations will be provided. This webinar is intended to help these children get started with communication. Specific ideas for access, vocabulary, and cueing will be addressed. Many low tech options will be provided. Description: Join us for a unique webinar that will focus on assistive technology strategies, helpful tips and solutions to support those living with and affected by dementia. Dementia is an overall term for diseases and conditions characterized by decline in memory or other thinking skills that can ultimately affect a person's ability to perform everyday tasks. An estimated 5.2 million Americans of all ages have Alzheimer's disease in 2014. This includes an estimated 5 million people age 65 and older as well as 200,000 individuals under age 65 who experienced onset at an younger age. This session will further define dementia, it's characteristics, disease process and consequences. Presenters will thoughtfully share information on difficulties encountered by individuals living with dementia and provide information on how assistive technology and other adaptive devices can provide much-needed relief and hope, not only to those directly affected, but their family members as well. Let us help you "light the path"! Description: This webinar is a combination of instruction for writing Transition Service Plans and conversations with people with disabilities who have already or are about to transition to post-secondary life. The presenters, experts in the field of transition planning and assistive technology, interviewed current and former students and families about what they wish they had known about transitioning from school to the workplace. In the candid conversations, the dialog was paired with the Georgia Transition Service Plan emphasizing the need for assistive technology integration for post-secondary success. Join us to listen to these eye opening revelations and learn ways you can improve your Transition Service Plan writing skills and opportunities. Presenters: Anthony Gerke, Monarch Teaching Technologies, Inc. Description: One of the great promises of educational technology is the ability to personalize learning for students. The problem, however, has always been that it is difficult, time consuming and limited, until now! Visual learning software, like VizZle, has opened up new possibilities for creating personalized learning environments for students of all abilities. VizZle offers thousands of pre- made customizable lessons, automated data collection, and engaging activities on any device, including tablets. Join us for a webinar where you will see a new way to take personalized learning to a new level for your individuals with disabilities. Description: Many people with autism have difficulty with verbal communication (Weitz, Dexter, & Moore, 1997). The level of competence in communication has been found to be a predictor for positive outcomes for individuals with autism (Lord & Paul, 1997). Families and therapists have often turned to Augmentative and Alternative Communication (AAC) solutions to attempt to overcome communication deficits (Schlosser, 2007). This session will take a look at what research tells us about the challenges that individuals with autism face in the area of communication. We will explore specific issues such as speech segmentation, repeating words and phrases, pragmatics, hyper-literalism, as well as addressing supported typing and facilitated communication. Communication systems that leverage this research to address these challenges will be identified. Description: Writing can be a difficult task for many students, but can cause high stress levels and meltdowns for students with autism. Join us for a webinar where we will explore how students can express their ideas and understandings in many ways using Assistive Technology. Using research findings on how individuals with autism interact with language, we will share how pictures and on-screen features can help with early writing. Supporting pre-writing for higher functioning students will be addressed as well as grammar, spelling, and auditory support for editing. Description: Recreation and socialization are two important aspects for children in school as well as adults living in the community. However, for a person with a disability, participating in recreational and social activities might be difficult to achieve and often not even an option. The lack of participation by people with disabilities in recreational sports and activities can lead to ineffective coping mechanisms, depression, and even secondary health conditions. During this session, presenters will share recent research that sheds light on the gaps and needs of adaptive recreation for individuals with disabilities. Participants will learn about recreational activities that can be done within their own home or with a group. Discussion will center on the importance of recreation for people of all abilities as well as share examples and resources of adaptive sports, devices, and socialization opportunities that can make a difference in the lives of individuals with disabilities. Description: Promoting full inclusion in workplace environments often includes knocking down simple physical barriers by building up everyone's skills and knowledge of the principles of ergonomics and understanding of assistive technology solutions. This presentation will identify ergonomic challenges that individuals with disabilities often face in their workplace environments. Presenters will share a range of strategies that include the basic steps to identifying problem areas within the scope of a workplace assessment. Solutions will be shared that can assist with improving posture, enhance the ability to focus, reduce fatigue and save energy all while promoting inclusion and productivity at work. Description: When it comes to accessibility features and apps, Apple iOS dominates our world. But did you know that the Android system has over 12,000 various products on the market? With so many to choose from, we can only wonder if the Android platform can support people with disabilities in the classroom, at home, in the workplace, and in the community. If you've always wanted to learn more about Android, then this webinar is for you! Presenters will provide an overview of the Android system, explore the built-in accessibility features and share some apps that can assist with reading, writing, organization, computer and environmental access. Description: Want to learn more about what Georgia is doing to help state government agencies improve accessible information technology for state employees and customers? Then don't miss this informative session! An initiative of the ADA Coordinator's Office of the Georgia State Financing and Investment Commission, AMAC Accessibility Solutions and Research Center and Tools for Life is working with Georgia state government agencies to offer them tools, technical assistance and training in accessible Information and Communication Technologies (ICT). Join us to learn about the business case for Accessible ICT, feedback from state agencies participating in our pilot ICT project, including what was revealed about agencies' interest in this area, and steps Georgia's AccessICT collaborative is taking to promote systemic change within these agencies. Description: Join us for a webinar that will assist teachers, as well as other interested assistive technology professionals, in developing and adapting lessons to allow access to the core standards. Presenters will provide an overview of tools, to include low, middle, and high tech solutions which can be utilized to differentiate instruction for students with significant intellectual and cognitive disabilities. Presenters will also distinguish and demonstrate between assistive and instructional technology. Description: With the introduction of apps, we are experiencing a drastic technology evolution that is revolutionizing the field of Assistive Technology and producing positive life changing results for individuals with disabilities. Apps are assisting students by promoting more independence, increasing opportunities for inclusion, promoting depth of learning, providing equal access in educational settings and supporting smoother transitions. This session will provide participants with opportunities to explore specific app solutions that promote success in the school setting and that can ultimately assist with successful transitions into the workplace and community. Description: Do your students still use pencil and paper to take notes? Do your students lose their notes? Do your students have trouble reading their own notes? Join us to explore some iOS apps that may help your students take notes from lectures. There are many note taking apps on the market today with a variety of input methods such as handwriting, typing, audio recording, and dictation. Selected apps will be reviewed by their features and tied to a students needs/abilities, their tasks and environments. As an added bonus, we will review a few skills needed for note taking. Please note that this webinar in the apps discussed is for iPad only. Description: The rapid development of assistive technology is identifying new and improved solutions for the disability community, including the aging population. There are many obstacles older individuals encounter daily that can hinder them from remaining at home and in the communities of their choice. Join us for an insightful webinar that will shed some light on assistive technology strategies, solutions and devices that are used to help our aging population and older adults age in place. Presenters will share examples of AT that may assist with fall detection and prevention, hearing, seeing, communication, and computer access. If you are currently working with or have family and friends that would like to age in place with assistive technology, then this webinar will have updated information for you! Description: Join us for a unique webinar that will explore and share assistive technology strategies and solutions for those with vision issues. This webinar will focus on teaching communication to children with cortical visual impairments (CVI). Presenters will define and provide examples of cortical visual impairments and explain how they differ from other visual impairments. If you are interested in learning about cost-effective, low-tech strategies for helping children communicate, then be sure to join us for this session! Description: This session will focus on the most current research related to benefits of teaching core vocabulary to all AAC users in order to increase communication and language skills. It will provide implementation strategies that communication partners can use to teach AAC users to communication anytime, anything, to anyone with core vocabulary. About 80% of the words we use on a daily basis are core words. Description: Some tips and tricks for using best practice instruction to address IEP goals & objectives while conducting standards based instruction. This process will be demonstrated through an integrated science unit on Cells and some common IEP objectives emphasizing hands-on student based activities. Additional examples and resources will be shared as well as examples incorporating life skill instruction. Description: Join us to learn more about building a core assistive technology (AT) inventory for your classroom. Are you interested in learning about the basic tools needed to modify your curriculum materials? Do you want to create an accessible environment for your students? This webinar will explore assistive technology tools that are oldies but goodies, as well as new ideas that will help teachers and students. Discussion will include implementation and understanding why these tools are important for supporting successful instruction. Presenters: Tom Nikola, AbleNet Inc. Description: Switch accessibility like never before using iOS7 and Blue 2! With one or two switches, connected via Bluetooth, users with significant physical disabilities can easily access an iPad, iPhone, or iPod Touch. By running and interfacing with iOS7, you can do tasks like using an AAC app, writing e-mails, browsing the internet, watching a video, or listening to music. Every app, every screen item, is now accessible! Description: Its that time of year! Join us for an exciting webinar that will share the Top 25 Holiday AT Gift Ideas! Tools for Life along with WATAP (the Washington Assistive Technology Act Program) and InDATA (the Indiana Assistive Technology Act Program) will share information about assistive technology, adaptive gizmos, gadgets, and practical ideas that make great gifts for people of all ages this holiday season. Join us as we review both low-tech, cost effective devices, to more high-tech and expensive gadgets. This webinar will include a range of mainstream devices (items that may not be specifically designed as AT), and actual AT products. Presenters will explore devices for people with a range of functional needs and abilities that will make great small gift ideas, to fabulously wrapped presents. Description: In this webinar, we will address the shifts in language arts and literacy highlighted by the Common Core (CC) Standards. The Common Core is a state-led effort to establish a shared set of educational standards to prepare students for college and careers. In order to address the emphasis on writing in the CC, research-based writing strategies will be demonstrated using technology solutions from experts at Don Johnston Inc. There will be examples of writing support such as word prediction, speech to text, and portable writing, for different ages and ability levels. Description: Tools for Life, Georgia's Assistive Technology Act Program at AMAC/Georgia Tech is excited to share new assistive technology has been acquired for the TFL AT Solutions Lab. Join the TFL team as they share information about real world solutions and technology implementation for educational, community living and work settings as well is transition and recreation. Discussion will center on tracking technological trends and knowledge transfer. Presenters will share and explore examples of assistive technology, software, hardware, and mobile technology. If you've been eager for an assistive technology update, then don't miss this webinar! Description: Using personal and professional experiences, Prioli and Phillips will illustrate the challenges of living and working with ADHD, dyslexia, auditory processing and other Learning Differences (LD) and offer successful strategies using assistive technology for the management of LD. This webinar is sponsored by Tools for Life partner Temple University. Description: This webinar will look at the importance of trial usage and data collection for Assistive Technology (AT). Information including determining what to measure during a trial period, ways to measure and collect AT usage (as well as when to measure it) will be reviewed. But it doesnt end there! Once the data usage has been identified and collected, the need to analyze the collected data will be discussed, including factors such as determining the criteria for mastery, identifying patterns in AT usage, and factors that will affect the validity of the data you have collected. Come and discover ways to demystify data collection! Description: Are you interested in learning more about various tools and resources to help improve reading and writing skills of all abilities? Whether you are familiar with the featured software or areinterested in learning about recent updates, then be sure to join us for an informative webinar. Experts in the assistive technology community will provide an overview and demonstrate reading and writing software that can provide support for you or the people you serve. Clicker is the proven reading and writing tool that helps students achieve rapid and permanent gains in their levels of literacy. Its multisensory approach of using words, pictures, and sounds keeps learners interested and motivated, and enables them to achieve success. WriteOnline is the award-winning writing tool for learners ranging in age from 9 to adult. This flexible program offers more support to struggling writers than any other word processor and is applicable for learners across the entire spectrum of ability levels. From word prediction and writing frames to a graphic organizer, every user will have the necessary supports for their needs. Description: Its time for some Fall cleaning! Many times teachers find a piece of equipment in their classroom closet and have no idea what it is used for or have never seen it working properly. Does this sound familiar? If you have ever found an IntelliKeys in your closet or are curious about the functionality of this device, then this is the webinar for you. Lets dust off your device and put it to work! Presenters will review the features of an IntelliKeys keyboard in several ways in which this device may benefit people with disabilities. Presenters will discuss the many kinds of overlays that are available including those that you may be able to easily create with Overlay Maker to support writing. A brief overview of the software for Overlay Maker will also be discussed. If you, your student or anyone you know is interested in learning about alternative keyboards for easier computer access then be sure to join us for this informative overview! Description: Join us for an exciting webinar focused on assistive technology and writing resources! With the emphasis that is placed on writing as part of the Common Core and knowing the strong connection between reading and writing, technological supports are, now more than ever, in high demand. This webinar will provide an introduction to assistive technology (AT) solutions for writing. Presenters will give an overview of the kinds of AT writing supports, including mobile devices and apps, that are currently available along with their accompanying features. If you, your students, or anyone that you know are looking for writing solutions to your current difficulties then this is the webinar for you! Join us as we explore and discuss AT for writing that can be quickly implemented so students and anyone with various abilities can successfully reach their goals. Be sure to mark your calendar for our upcoming fall webinars that will explore specific writing programs and their features for students with learning and cognitive disabilities. Description: Tools for Life increases independence for Georgians with disabilities by providing access to and acquisition of assistive technology (AT) devices and services. The TFL Network is fulfilling the intent of the Tech Act through various statewide activities including funding education and assistance. Sometimes it's easy to find out what assistive technology is available and will help with daily activities; however, often the difficult part is finding and understanding resources that can help acquire these technologies. Funding for AT can be a major barrier and the only obstacle to getting and owning the tools needed for success. This webinar will focus on a few funding resources that can be used to help purchase assistive technology. Presenters will discuss these specific funding resources, their application process and how to successfully navigate a few complex systems to get AT into the hands of Georgians with disabilities Participants will also learn more about the Tools for Life online funding guide, Dollars and Sense. If you are ready to "find your strategy" and learn more about funding your assistive technology devices, then don't miss out on these important resources! Description: Accessible Instructional Materials (AIMs) are print instructional materials that have been transformed into the specialized formats of braille, large print, audio, or digital text and available to all students who qualify. To ensure that these materials are making the impact on student independence and performance that we expect, this webinar will review the process for qualifying students and acquiring AIMS. AIMs "level out the playing field" and ensure access to classroom curriculums and successful transitions. Join us as Leaders in the assistive technology field discuss some of the roadblocks and solutions that have been encountered by teachers and students as these materials have been used. Description: Tools for Life, the Georgia Assistive Technology Act Program can help you during your assistive technology consideration process. Building upon same framework developed by the Georgia Project for Assistive Technology (GPAT), Quality Indicators for Best Practice in AT developed by QIAT and the Student, Environments, Tasks, and Tools (SETT) model, Tools for Life has been improving and expanding guidelines for the considering AT. Through the TFL Network, demonstrations, trainings, assessments and lending libraries, Tools for Life can be your go to resource for exploring assistive technologies as well as understanding the consideration process. Join us as we explore and share guidelines and strategies to help you access the appropriate assistive technology! Description: In this year-long research project, twelve (12) special education students participated in a modified Aspire training and mentoring program to prepare them to lead their Individualized Educational Plan (IEP) meetings at years end. Six (6) students were given iPads to support their preparation for and participation in the IEP. Six (6) students comprised a control group who were not provided with technology. Data was collected regarding student, teacher, and family perceptions of student ability and performance at the IEP meeting. This presentation will discuss statistical and anecdotal data collected concerning the participation and leadership demonstrated in the two groups. Description: Join us for a webinar that will help you to navigate the complex avenues of funding resources within the social security disability world. With the job market and federal budget tightening, acquiring social security disability benefits in your time of need has become increasingly more complicated. The Social Security Administration rules and regulations are making the application process more grueling and difficult to manage on your own. While you and your family are dealing with the daily obstacles of living in the disability community, navigating complicated funding systems can often be an added stress. Research, application processes, and knowing who the right person is to talk with can be a challenging and lengthy process. It's important to receive counsel and direction while anticipating your application, especially if you are working or are seeking employment or interested in saving up to purchase assistive technology or other tools to help you be independent. The road ahead may seem dark, but it doesn't have to be! Let the Tools for Life program, Network and our community partners help you understand your rights and resources! 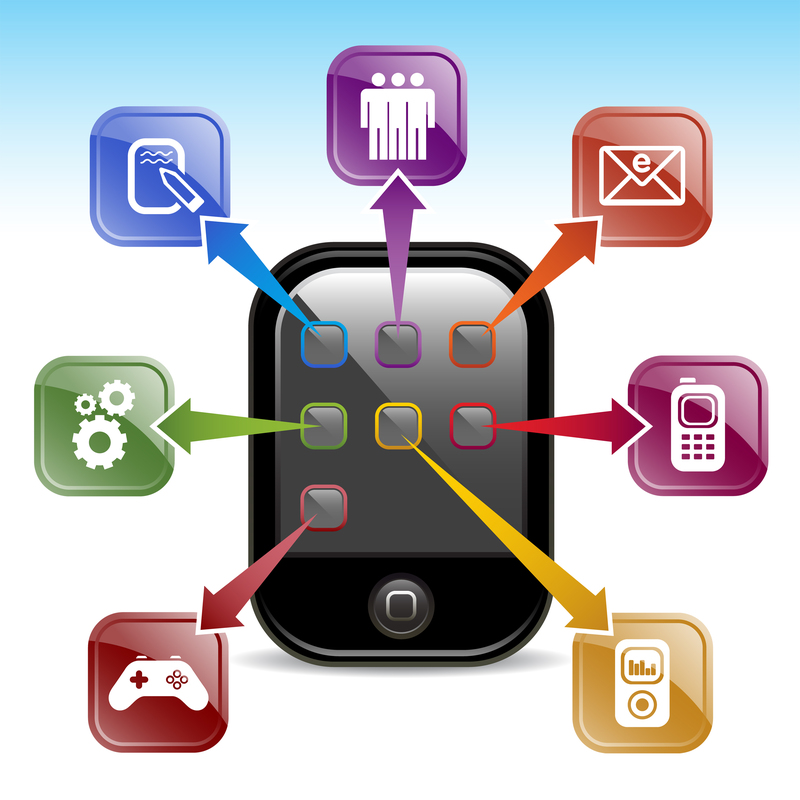 Description: Finding and researching new and reliable apps that can assist you can often be an overwhelming task! Tools for Life wanted to help you by making this an easier process, so we created the Tools for Life AppFinder, a searchable database filled with apps for living, learning, working, and playing. This unique database offers you a few options for exploring its content: by browsing categories, price range, and device type. When you are trying to find the best app for someone with a disability, diving into an app search can be confusing, tedious and difficult especially as more apps arrive on the market. This webinar will provide a live demonstration of this unique database and answer your questions on apps and how to locate the best apps to download. End the frustrating task of finding new and reliable apps and let the Tools for Life AppFinder help you discover exactly what kind of apps you need. Presenters: Pat Satterfield, Center 4 AT Excellence and Phyl T. Macomber, Author and Curriculum Strategist, President of Make A Difference, Inc. Description: Join us for webinar to help you learn how to use a 4-step proven method for teaching curriculum based on a set of principles that give all individuals equal opportunities to learn. Walk away with a realistic roadmap for instruction tied to the Common Core Initiative when providing differentiated instruction in any setting! See how to increase multiple means of engagement, while building true comprehension of curriculum content and increasing meaningful participation, in both general education and special education environments. Solve your everyday materials management struggles - in your nonexistent prep time - by using a sustainable, results-oriented teaching framework - experience The Power of T.H.E. P.A.C.T. Photo galleries, along with video examples, of real-life learner and class success stories will be shared. This webinar promises to provide you with resources and tools to increase functional access for your students in the K-12 setting and beyond. Description: When charged with the task of thinking of how assistive technology can benefit a person with a disability, we often focus on educational and job environments and goals. Social and recreational activities benefits each one of us as we are working towards our best life outcomes. However, for people with disabilities inclusion in recreation and adapted sports can be difficult or even nonexistent when assistive technology and accommodations are not taken into consideration. This webinar will highlight programs that specialize in adapted recreation. We will also focus on the ways assistive technology coupled with adapted recreation can help to "level out the playing field". Join us as we engage in discussion on how participation in play, recreation and adaptive sports can have profound impacts on the overall growth and development of people with disabilities, leading to improved skills and comprehension in other areas of life including education and at work. Description: What can teachers do in a world where money is limited and resources are required to help students succeed? They need to find and utilize as many free resources as they can. This webinar will present a variety of websites that are free for all and can be used to support student needs, help students experience success, and supplement a students core curriculum. Participants will be able to apply and demonstrate free and creative learning resources for all students in diverse learner groups as well as integrate a variety of no cost resources to utilize at Levels 2 and 3 for Response to Intervention. Dont miss your chance to gain access to these FREE resources! Description: Are you looking for a way to turn your technology investment into an immediate teaching tool? Then be sure to join this session on SMARTs interactive whiteboards, Document Cameras, Response Sets and the SMART Table. The tools are the first step to teaching with 21st century technology, but you need more than just hardware. Join us for a live product webinar where you can see the technology in action and ask your burning questions about how these tools can help you engage all students in your instruction! Description: Join us for an overview of Our Favorite Apps for individuals with learning disabilities. Navigating the world of tablets and apps can be tricky when there are over 200 apps launched each day. In this webinar we will review applications that can assist with organization, memory, reading, writing and living. Participants will also explore the newly redesigned Tools for Life AppFinder, that compares apps by their functions. Come learn the ins and out of the Apple and Android platforms as well as explore future trends in the world of Apps. Description: Join us for a webinar that will update you on the success of the 2012 Pass It On Center Centers for Independent Living and AT Reuse National Conference. This event brought together assistive technology reuse experts to share lessons learned in the scope of work related to reuse activities and sustainable programs. Nationwide, Centers for Independent Living are increasingly expressing interest in establishing AT Reuse programs to better serve their customers. This webinar will provide you with a recap of the National Conference, share key factors and tips from nationally recognized leaders in the field as well as the steps needed to move forward. In the end, the results are beneficial for everyone involved - reuse programs, assistive technology leaders, and ultimately the end-users. Description: This session will demonstrate how these AT Specialists help teachers and students implement AT solutions for reading, writing, and communication. Part One of this session will focus on supporting teachers who serve students with significant disabilities. These teachers use the Unique curriculum and training focuses on accessing core vocabulary using a range of AAC devices as well as utilizing other AT tools for curriculum extension activities. Part Two will focus on Paulding County School Districts project study implementing the direct to students training approach, where students and their teachers were trained simultaneously utilizing our district-wide Read:OutLoud license. We will share what went well and lessons learned while we worked to create an ideal UDL environment that maximizes AT usage. Description: Join us for an informative webinar that will discuss various behaviors that are common among executive functioning issues. This session will explore the categories of supports needed for individuals to be successful learners. The latest tablets, with both Android and iOS platforms, as well as their accessibility features will be discussed. We will also share Apps that can provide support for organization, reading, writing, and note-taking. Description: Tools for Life is offering this webinar with our partners, CREATE. Students with mild, moderate, and severe disabilities are required to have access to state-adopted math standards. What does this look like for students with significant communication, motor, and cognitive challenges? An experienced educator shows how differentiated math instruction, materials, and assistive technology pave the way for these learners. Includes overview of guiding principles and examples of differentiated instruction and materials for math accessibility so all students can be successful. Description: Join us for a webinar that will bring together assistive technology reuse experts to share lessons learned and the scope of their work with suppliers to refurbish specific types of gently used durable medical equipment. This session will take a closer look at how assistive technology and durable medical equipment reuse programs can establish repair services with a billing to third parties as a useful adjunct to reuse programs. We will also share and discuss factors that concern and appeal to suppliers when considering collaboration with reuse programs, and specific steps reuse programs can take to engage suppliers in a way that results in winning services for everyone reuse programs, suppliers and ultimately the end users. Title: Tools for Life Webinar - Apps! Description: There seems to be an app for just about every task needed to be accomplished in our lives. With so many apps out on the market, it can be an overwhelming task to know which ones could assist you at home, at school, on the job or in your community. Join us for a webinar that will highlight a few of the apps that can assist with all aspects of your daily routine. There will be a special focus on apps for assisting with vision loss. We will also dive into the "Our Favorite Apps" online database created and maintained by Tools for Life. This session will explore how to use this database to search for, review, and suggest your favorite apps. We will also take a look at the latest in newly released tablets, their accessibility features, and tips on how to decide which is the best fit for your lifestyle. Description: Assistive Technology (AT) is often the key to success for individuals that disabilities in their daily activities whether at home, school, work, or community living. Many times the struggle to obtain needed AT solutions is in navigating through complex funding systems. This webinar will focus on finding and understanding funding solutions for assistive technology. Join us as we explore Credit Able, Georgia's Alternative Financing Program for AT. Nationwide, there are 33 Alternative Financing Programs. These programs are federally funded and are designed to make loans for AT more affordable. Community-based organizations partner with financial institutions to offer low-interest loans, often with extended terms, to purchase AT. Dont know where to start finding funding solutions? This webinar will demonstrate the key features as well as funding resources included in the online Tools for Life Dollars & Sense Funding Guide. Don't miss this unique opportunity to learn about specific details on funding resources, application processes and how to successfully get AT into the hands of Georgians with disabilities.